A woman on her balcony turns her back to the street and raises her arms in a wide V overhead. She stretches at her reflection in the balcony windows. She reaches for the sky again, twice more, then bounces in a set of jumping jacks, her arms up and down, her perfectly styled bun unmoving. She wears a long sleeved black shirt and observes her lean leaping frame in the windows, quitting after a brief, invigorating set. She turns to face the street and delicately lifts a white mug to her lips. A moment later, she replaces the mug with a toothbrush and cleans her teeth overlooking the street. From time to time, she spits into the boxes of plants and flowers that line her elegant balcony. She sips from the mug, brushes, and spits. Over and over. I spot her from below, standing on the platform as I wait for the U4 subway train. During the jumping jacks, I rifle through in my bag for my notebook and pen. As I scrawl her morning routine, a couple to my left gaze up to see what I see, step a bit to the right to get a better view. An old man who fails to read over my shoulder finally looks up to see for himself. We spend five minutes waiting for a delayed train, watching the thorough public toothbrushing. Unaware of her audience, the woman moves inside. As her balcony door closes, our train arrives and we go our separate ways. …balcony changed to protect the innocent. Imagine if every balcony owner in the building had a separate routine. It seems so interesting that this one person chooses to conduct her morning routine in full daylight while the rest of us would rather hide in our bathrooms and kitchens. That makes her even more intriguing . . .
Wow, what fine talent you have. Elaborating such mundane things and making it worth the read. Fabulous. Thanks for the kind comments. I seem to have a knack for taking note of the mundane! I think that’s why my neighbors were so curious. “Why write about that?” So it goes. Thanks again! I enjoyed reading your post. Thank you for visiting my blog. Thanks so much! I loved watching it unfold–or extend and stretch, as it were. How very interesting! I greatly anticipate my return visit to Vienna. I bet! I’m sure they did! What a moment in time. How precise. I really love your writing. The universe seems to open up a lot for you in that case! Vienna – A favorite city – you do her and her people fine justice. 🙂 Thank you so much, Sheri! 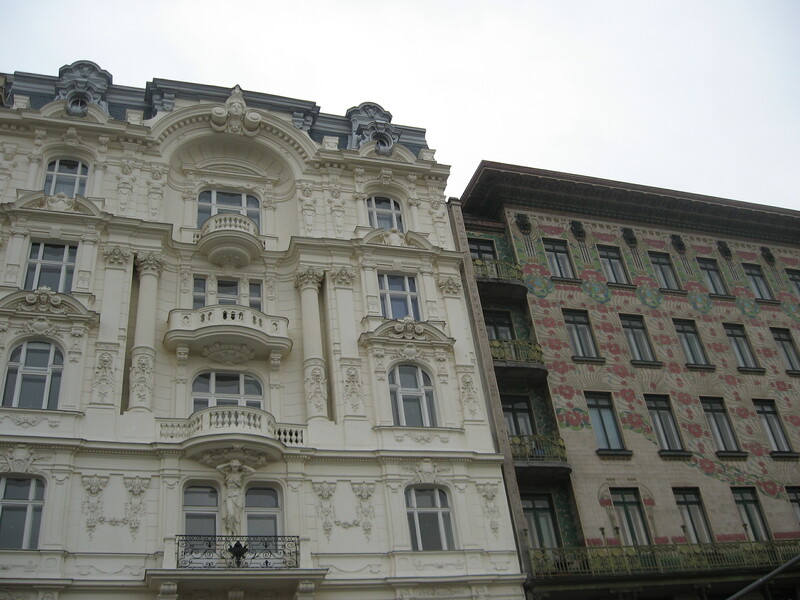 I loved my time in Vienna, though I don’t miss those long, gray winter months! This entry was posted on July 18, 2012 by thenicethingaboutstrangers in Europe, Fitness, Happiness, Observed, Travel and tagged audience, Austria, balcony, coffee, jumping jacks, morning routine, people, U4, Vienna, writing in public.